Private is always a helpful tool for dancers or beginners for many reasons. You can also use ‘Private Lesson’ as a surprise gift for your dance partner. Especially those who are active in social dancing & want to understand little details that can improve following/leading. Salsa, Bachata or Body Isolation, Fitness. Pick your favourite move, or spins, dips, etc. Extra time on important techniques. As a dancer when you progress to more advance class, we will introduce you challenging choreographies. DWF has many techniques to teach you, but its Trump Card remains to discover how dancing can be easy, fun, simple, and interesting among friends. Dancing is one of the many activities people love to cultivate. Dance counts as one of the best workout for Fitness and Health.. 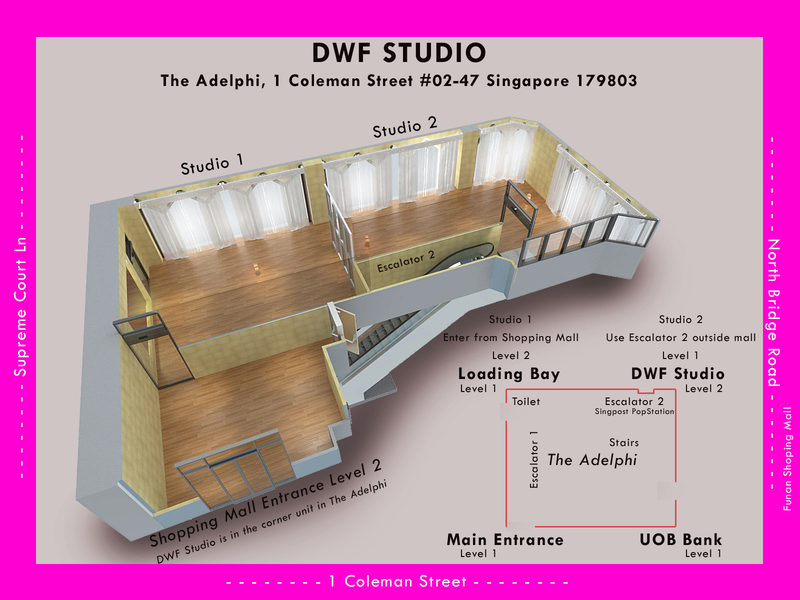 Located just two minutes from City Hall MRT Station, Dancing With Friends is extremely accessible and easy to locate.